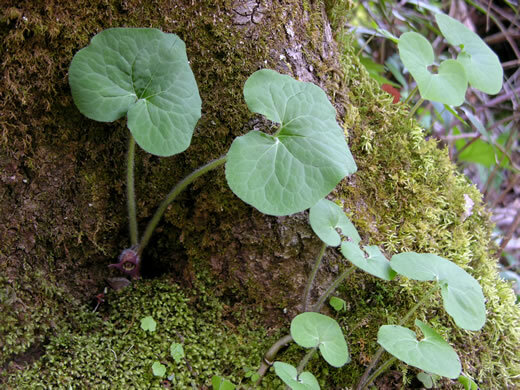 Leaves deciduous, membranous, pubescent, cordate to reniform, per Vascular Flora of the Carolinas. 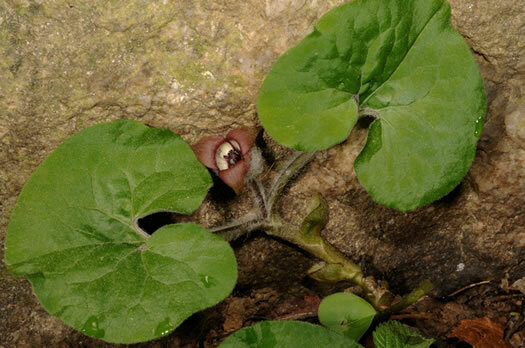 Flower solitary, arising between the petioles. 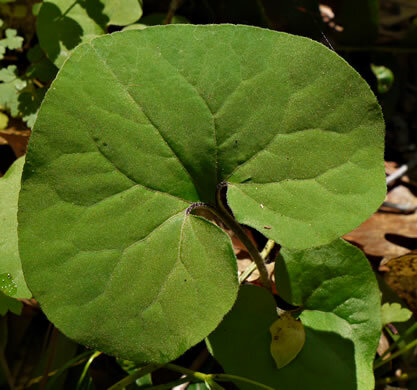 Petioles villous, per Vascular Flora of the Carolinas. 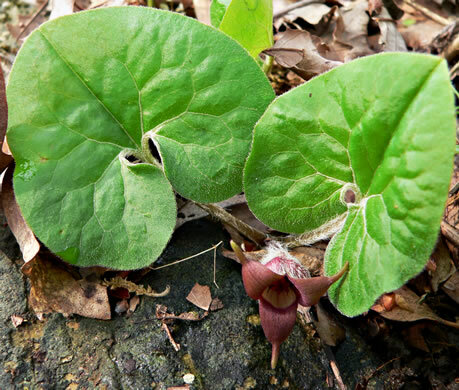 Plants spread both by seeds and by rhizomes, sometimes in dense carpets, per Wildflowers & Plant Communities of the Southern Appalachian Mountains and Piedmont. 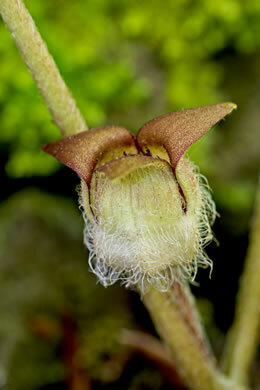 False calyx tube cylindric, externally hirsute (often densely), per Flora of North America. 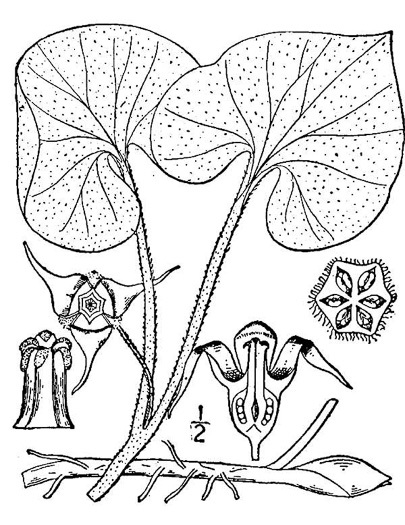 Calyx lobes acuminate to short-caudate, 10-25mm long, spreading, per Weakley's Flora. 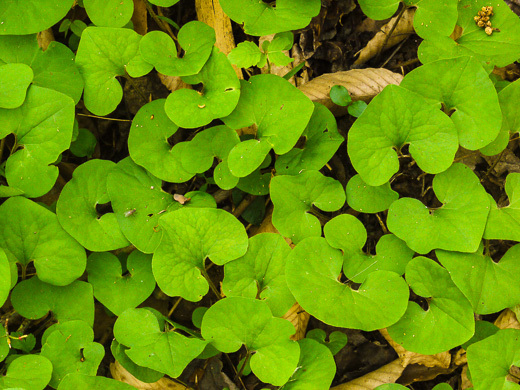 Leaves pubescent, petioles villous, per Vascular Flora of the Carolinas. 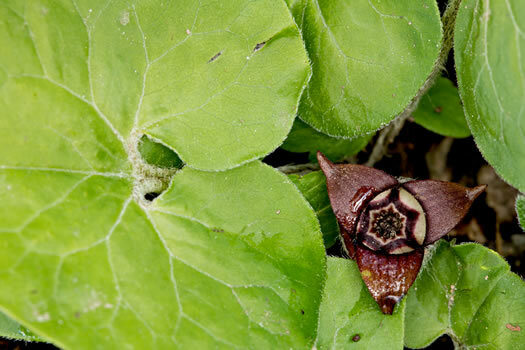 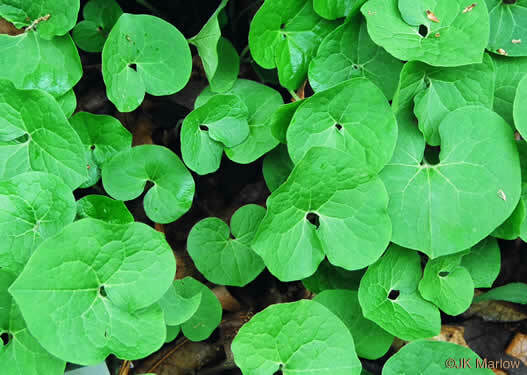 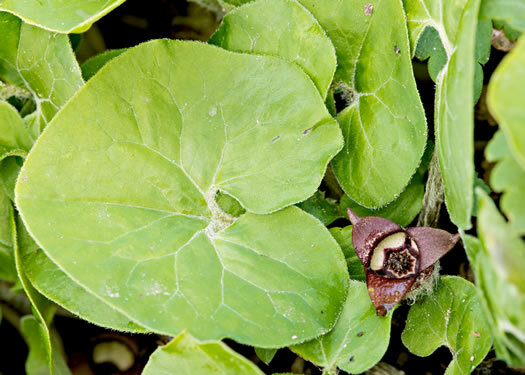 Each plant has 2 kidney-shaped leaves with cordate bases, on long petioles, per Wildflowers of the Southern Mountains.